Howdy! 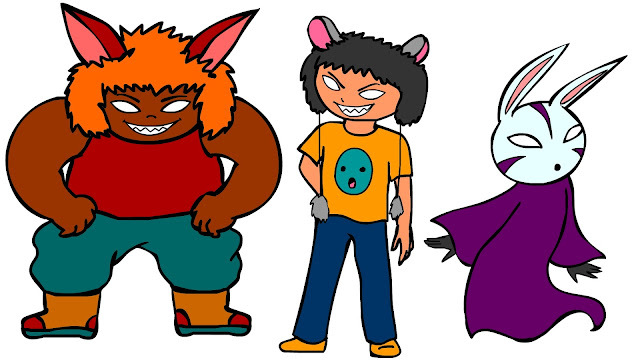 Some quick character designs I did at school before locking on the one in the middle (with some colour changes). Not much time to draw anything new today. Spent most of the day running errands and re-decorating my wall in the studio. It's been a long time coming, the re-decorating side of things at the studio. I've decided to move all the fish out onto cafes. Hoping to find more cafes soon to display and sell in. So much to do! Got to pound out the freelance tomorrow and possibly some pose design for school and some 3D homework in the evening. Maybe. Got to tidy up the house too.....gah!! !